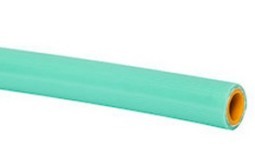 GREEN: The high-pressure PVC pipe tolerates the highest working and burst pressures up to 3700psi and is the most expensive option. 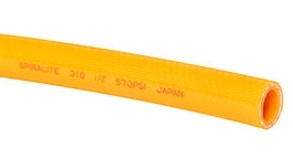 YELLOW: The high-pressure flex hose tolerates high working and burst pressures of up to 1700psi. 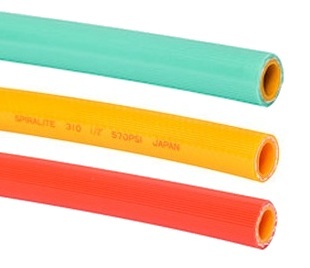 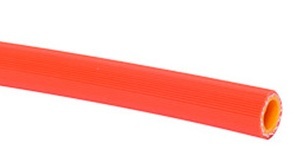 ORANGE: High Working and Medium Burst Pressure Hose, lightest and most flexible of the high pressures hoses we sell, up to 1000psi burst pressure, least expensive and extremely flexible.